Most of you know us. We hope that you will share our story with friends and that this brief background will help. I am Viola Brumbaugh and I live in Seattle with Rus DeMaria, my partner of 20 years. Together we have a thriving Tai Chi and Qigong school ( www.wise-orchid.com), our primary source of income. I am the head instructor and Rus is my assistant coach. I have been studying Tai Chi for 30 years and it is my honor to share this art handed down to me by my teachers. Rus comes from an extensive background as a writer and designer in the video game industry as well as a musician and flamenco guitarist. 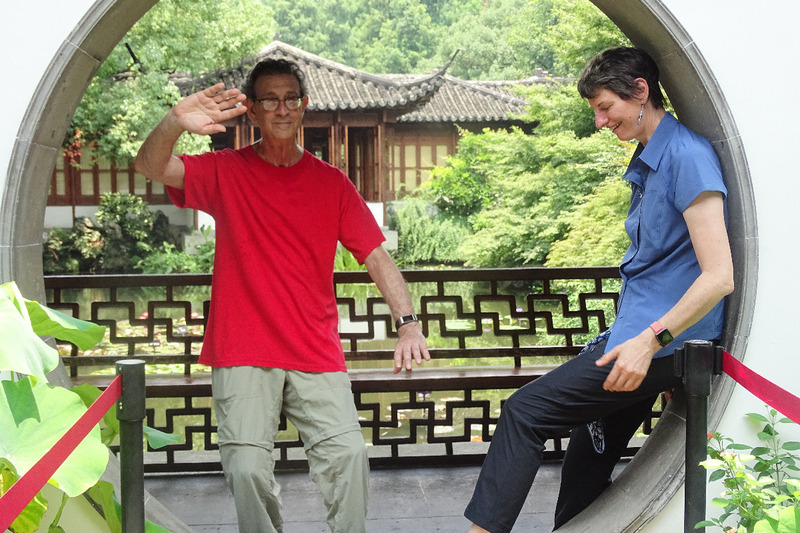 In June 2018, Rus and I traveled to China to participate in a training with our Tai Chi grandmaster. Rus was 69 years old, strong, healthy, and skilled. In China, Rus, trained with the advanced students and was strong throughout the grueling training in intense heat. 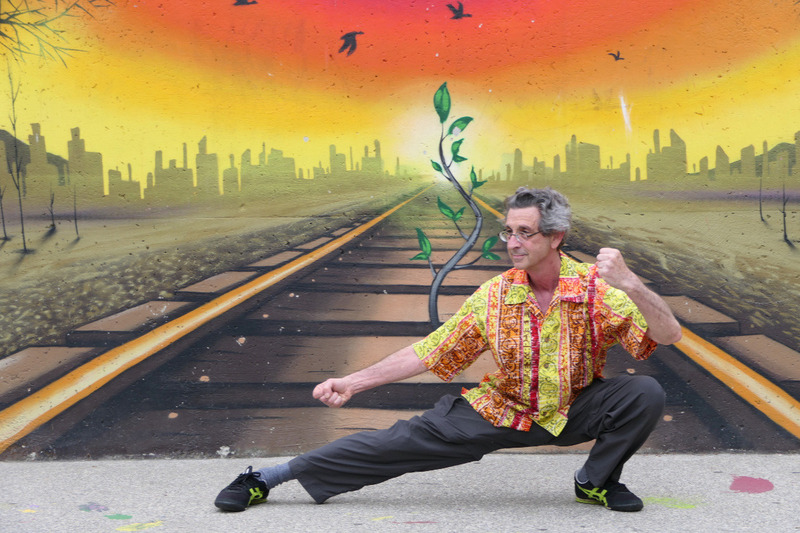 He was excited to turn 70 and be an example of how Tai Chi benefits people of all ages. Shortly after our return, Rus suffered an injury to his SI joint followed by an outbreak of shingles. This caused severe damage to the femoral nerve in his left leg, and to other L4 nerves and left him in considerable pain. Within days he was unable to bear weight on that leg and suffered almost a dozen falls. Soon, we came to understand the severity of his injury: that regaining mobility would require persistent effort and long term medical attention in a slow and painful process. Because of the nerve damage, he has lost a critical amount of muscle mass in the leg. He deals with constant pain and weakness and has difficulty sleeping. 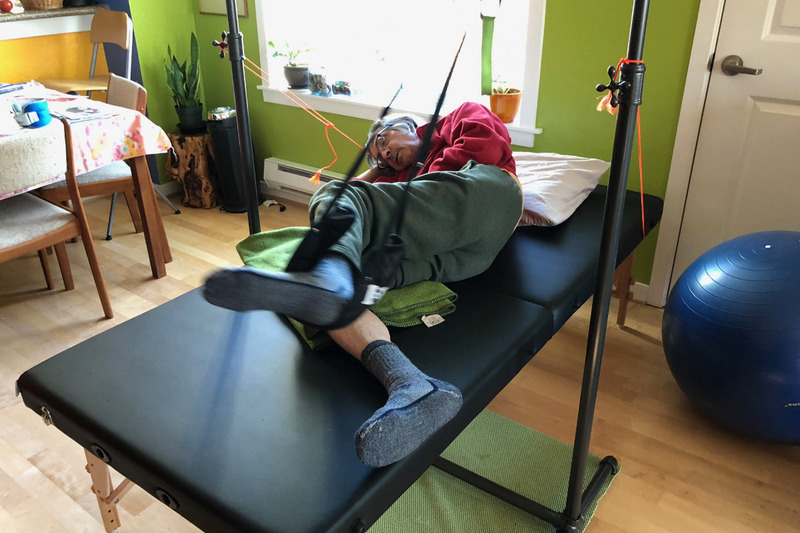 Rus works diligently on his physical therapy, progressing from a wheelchair to a walker and now to using forearm crutches and being able to walk without added assistance at home. I remember vividly the first time he moved his leg independently. What a miracle that was and how something so simple that we take for granted could be such a triumph. Rus has come to terms with his injuries and sees them as the challenge of his life. His goal is to return to Tai Chi and inspire others. Rus was recently accepted into a stringent month-long Functional Restoration and Pain Psychology Program at Swedish Hospital, which will begin in April. This program will provide him with 15 hours of multi-modality rehab weekly. We are excited and hopeful to have this opportunity to have focused time with experts in several fields. At the same time, we will be paying co-pays for up to 5 professionals 3 days a week and we will incur transportation costs. 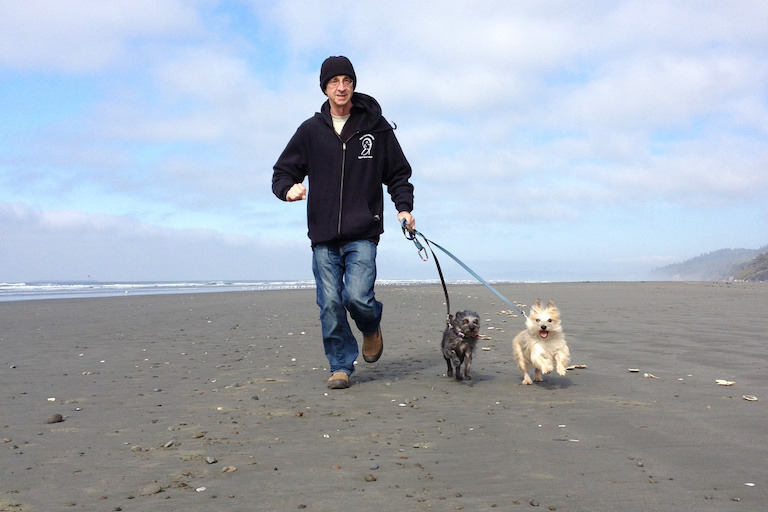 Rus and I are overwhelmed with the costs of his recovery and we’re hoping you’ll help. While insurance has covered some of our expenses, there is a lot that is needed and not covered and it is driving us into debt. Since our income is from our business, and Rus cannot work, I’ve had to balance teaching and care-giving, and we’ve lost income as well as spending more. Below is an estimate of our costs so far and ahead for the next 6 months. Unknown costs of rotator cuff diagnosis ? Lost income. Because we have had to cancel our retreat and cancel special classes we have lost approximately $20,000 in income. While we are not seeking to be reimbursed for this loss, we wanted to let you know part of why these expenses have been so overwhelming for us. For the past 8 months, we have done our best to keep it together, but the costs and loss of income have caught up with us. We have 3-5 years of recovery in front of us. Our amazing students, have helped us in myriad ways. But now, we are at the point where the overwhelming costs have driven us to accept that we must ask for financial help. Your donations to this campaign will help us survive the coming months as Rus works toward recovery and returns to strength and function. We have set our goal at $60,000. This money will be used to pay down some of our debt and to support Rus’s recovery for the next year. We will receive all funds donated and do not have to reach this goal to accept your donation. Please give if you are able, no amount is too small. Please give only what you can. Sharing the links above to your social media or with your communities will have a big impact. We are grateful to you for your time and consideration and support. Hello Everyone, Here's a brief update on Rus's recovery work. Thank you all for your support thus far. It's helping a great deal. Please post and share as we are 1/4 the way to our goal. Reposting can help keep the momentum going. Thank you for all you do. Recovering from nerve damage takes time. How much time is indeterminate, so the process is slow, but to make progress it requires consistent effort. 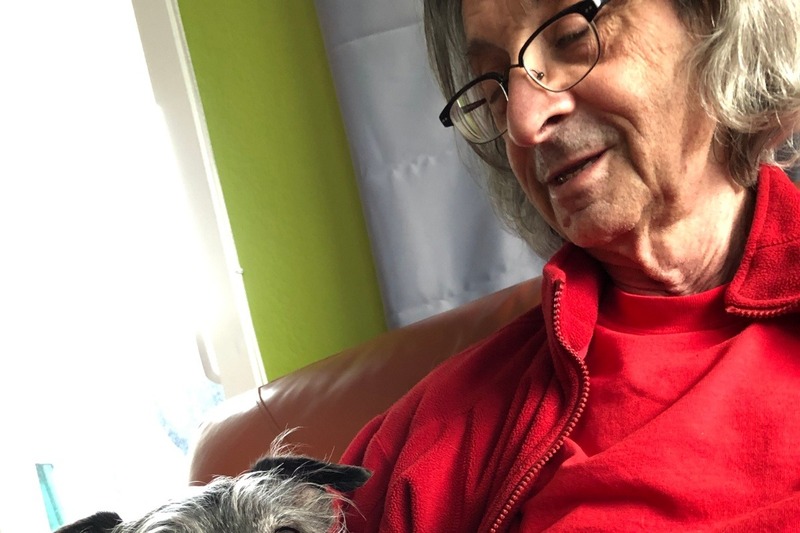 The good news is that Rusel has made a lot of progress by working his physical therapy exercises and practicing Tai Chi in spite of the limitations of his body. He is now 3 weeks into the Functional Restoration program offered by the Swedish healthcare system. This program involves a month of multidisciplinary therapy, three days a week, five hours a day. 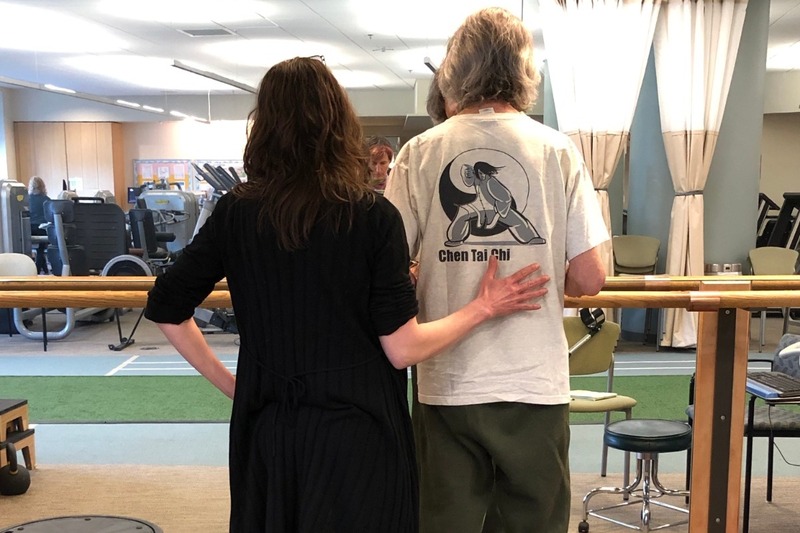 “The Functional Restoration program has been very helpful, reminding me of my ability to meditate and visualize health while customizing my physical therapy in order to increase strength and balance. The program also offers a great deal of education about many health issues. I have been enjoying my time in the program and even helping them with my Tai Chi knowledge. The road ahead is still long, and there is still pain involved, but my resolve has not abated. I believe more than ever that I will recover.